5 Planet-Strong Breakfasts That Will Make Your Mornings Delicious! My gran is quick to remind me that "breakfast is the most important meal of the day", but it's also when I'm feeling at my laziest. Like most people, I'm not awake enough to prepare something elaborate at 6am, so it's tempting to pick unhealthy and unsustainable options such as packaged muesli bars (so much plastic for such a tiny bar!) or takeaway coffees in single-use containers. 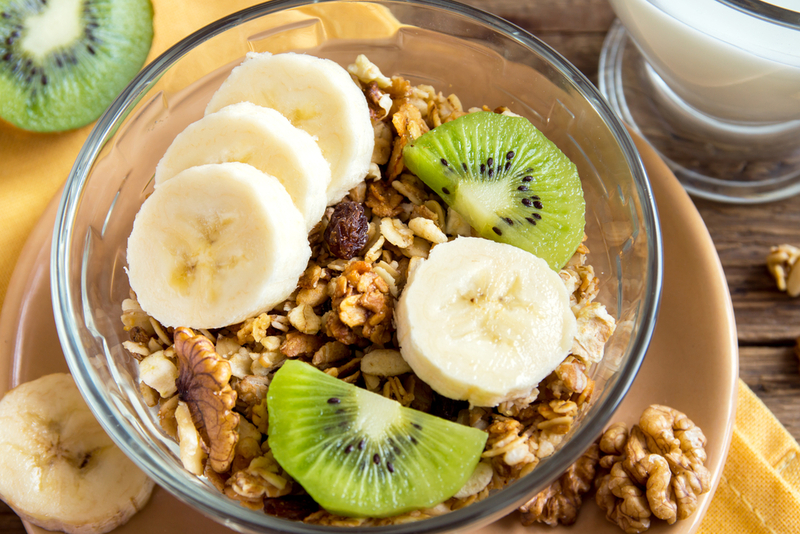 To help you beat the morning blues, here are five quick, easy and healthy recipes for the perfect breakfast. This is the breakfast meal that I miss most when I'm travelling (I've been known to hunt through South East Asian markets in the pursuit of avocados), so it's a favourite for me when I'm at home. It's simple and delicious, plus there are so many combinations to try out. The basic idea is to grab your toast (I favour fresh multigrain bread), then smash a generous amount of avocado onto it. You can the add whatever you like: tomato, chilli, balsamic vinegar, vegemite, egg… whatever your heart desires! 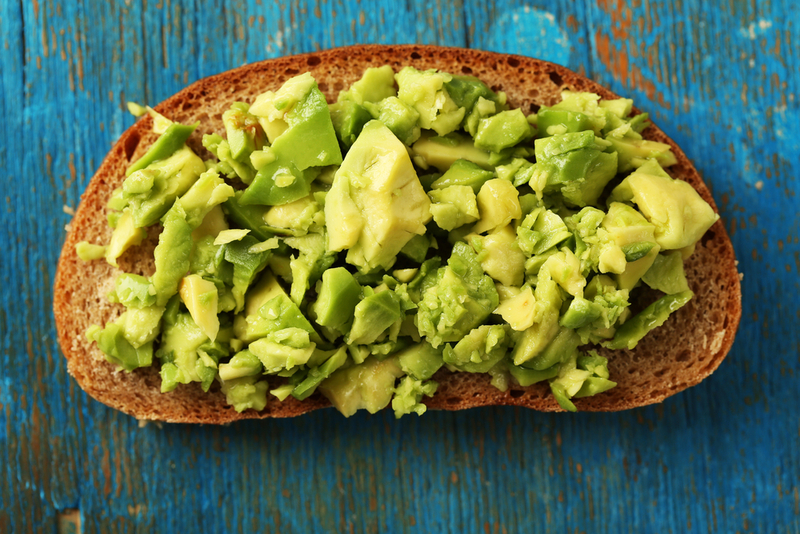 Avocado is a satisfying and healthy way to start the day, and I attribute my good marks in high school to my daily dose of smashed avo on toast! If you're in a rush, make two slices of smashed avo and turn them into a sandwich to eat on the road. I have spent many a morning on the Sydney-bound train, munching on my toast and sipping tea from a travel mug! 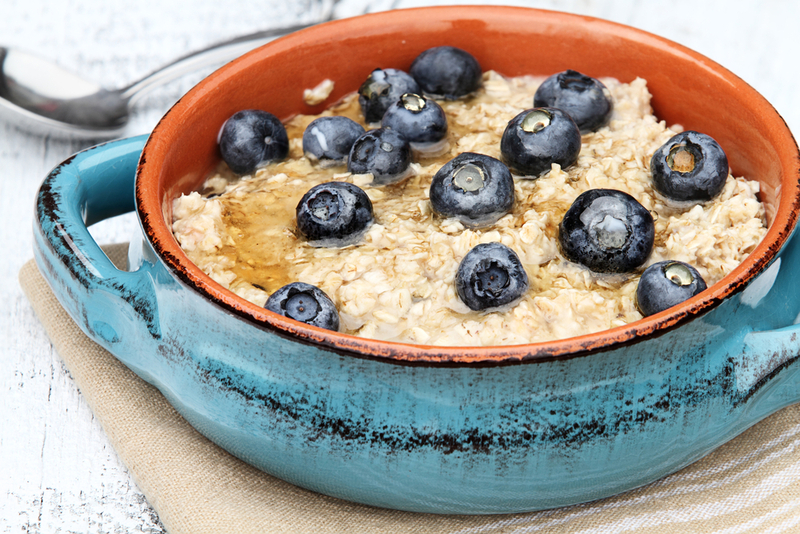 I hated rolled oats right through my childhood, then rediscovered them when I became interested in cooking. Now, my winter morning (and midnight snack) staple is ½ cup of rolled oats with ¼ cup soy milk or water, heated for a minute in the microwave. This can then be eaten as is, or topped with honey, banana, sliced apple, yogurt, nuts… the possibilities are endless! It's a denser version of porridge the way I make it, but you can make it wetter/drier depending on how much liquid you put in, so experiment until you're happy with the result! My homemade granola is one of those things I'll make a big batch of on the weekend, then nibble away at for the following fortnight. Sometimes, however, the incredible aroma of baking granola will lure my family members and the granola will be gone within a few days! Get the recipe here. Be sure to make ahead of time for a packaging-free breakfast option that can be enjoyed with soymilk, yogurt, fruit or whatever else takes your ~fancy~. Whenever I'm making rice (which is usually a few times a week), I tend to make a bit more than I think I'll eat so that I have leftover plain rice. Why? 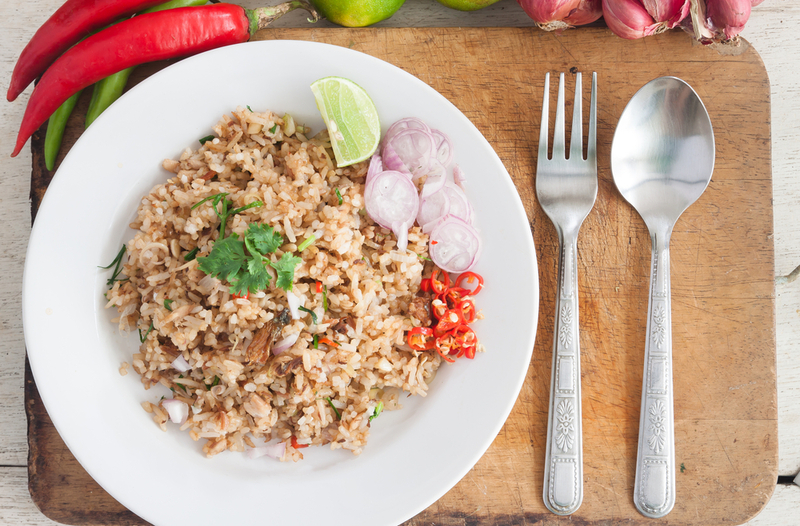 Because it's SO DELICIOUS to have fried rice for breakfast! You can make this in a single saucepan or frying pan, and you can use whatever vegetables you have lying around. Personally, I stir-fry half an onion in a little oil, then add a tomato, some pak choy, shallots, carrot and then the rice. Stir through a little soya sauce, chilli and lime juice for some extra flavour, then eat hot and delicious. If you're hungry for added protein, crack an egg into the pan before you add the rice, and stir until it's cooked through (you'll end up with little pieces of omelette). Diced tofu is another great option, especially if you're trying to use it up before it goes bad. Hear me out! Salad might not sound like your cup of tea when it comes to morning meals, but after I discovered that salad was often on the table for breakfast in Japan, I became addicted. Salads are great for getting a morning boost of vitamins, plus they're no-cook and super fast to prepare, plus you get to feel virtuous for the whole day. 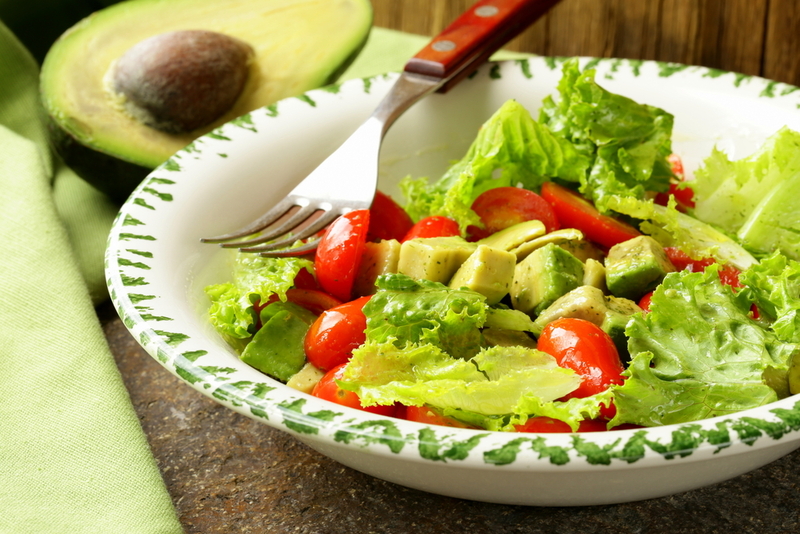 My favourite salad to start the day is lettuce (I love the crunch of iceberg! ), tomatoes, cucumber, capsicum, avocado and homemade sweet chilli sauce (although bottled is fine, too!) and a squeeze of lime juice. If you're desperate for some carbs, add some pita bread or a slice of sourdough. Yum! This is also a great salad to make double of and take in a jar for lunch the following day (chuck some pine nuts in there for some added texture and flavour). What's your favourite breakfast? Let us know in the comments below!